With over 30,000 licensed real estate agents in Manhattan alone, there are bound to be a few bad apples. 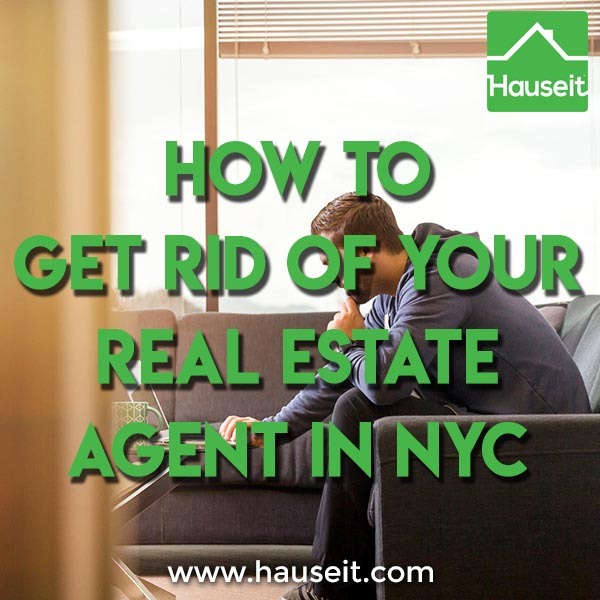 We’ll explain in this article how to get rid of your real estate agent in NYC so you can work with someone else. Firing your real estate buyer agent is an extremely easy process in New York City since buyers typically do not sign any sort of exclusivity agreement with their buyer agent. You are a “free agent” as a home buyer in NYC and can choose to work with a different buyer agent at any time. Note: You can refuse to sign the New York State Agency Disclosure Form and it is completely in your right to do so. Your agent will simply make a note in their records that you’ve refused, but you are under no obligation to sign anything as a home buyer. You do not need to write a formal letter to end your relationship with your buyer’s agent. How much effort you want to spend sugarcoating your rejection is up to you. If you’d prefer to be nice to the buyer’s agent you’re about to reject, you can give a plausible reason for why you are stopping your home search. You can even suggest that you might reach out to the agent in the future should you resume your search. Be very careful however if you leave these agents a shred of hope as some of them can be very persistent. You want to make sure they understand that you absolutely do not want to see any more listing ideas nor do you want to be added to any mailing lists. These places are beautiful. Love the Cobble hill, Carroll Gardens and East Village apartments. However we have so much going on here with baby due soon and my husband changing jobs that we’ve decided we want to put our search on hold for now and pick up again in the fall. How does that sound? Would love to work with you then. Nice to hear from you. I am still plugging away trying to find Dana that needle in hay stack unicorn apartment that will convince her to move. I am not sure I’ll ever find it or will be able to go much farther in the quest. We’re currently looking to see if we can go see the apartment on West 77th Street, provided we can find a workaround to what Larry the seller’s Realtor says it’s a 40 pound pet weight limit. Our dog Mimi weighs 50 pounds. Waiting to hear back from him and will let you know if we ever get to the point of putting in another offer. Speaking of offers, with regard to the apartment we saw on East 75th Street, as much as it pains me to say, Dana found the kitchen too small and with not enough cabinets to make it work. We also had a serious lack of light issue with no real solutions. If it was just about the price, we would be writing the contract up tomorrow. Please thank George for reaching out to us but it was never about the money on this one. I have only known Dana for the better part of 48 years, but I have the sinking feeling that, deep down inside, she doesn’t really want to move and I’ll be damn if I force her to move after she followed me around the world for over 30 years in the Army and moved 25 times! It’s 100% her call, so that is that, my friends. This, on top of everything else, is more than even I can take. If I ever take up this foolhardy house search again, you’ll be the first to know. Thanks for everything, live well, and prosper. Jorge. Note: While it may be courteous to provide a termination letter to your buyer’s agent so they don’t waste any more time hoping to do a deal with you, it is not necessary to even give a heads up if you don’t feel like it. You can simply “go dark” and “ghost” your buyer’s agent and hope that they get the hint. 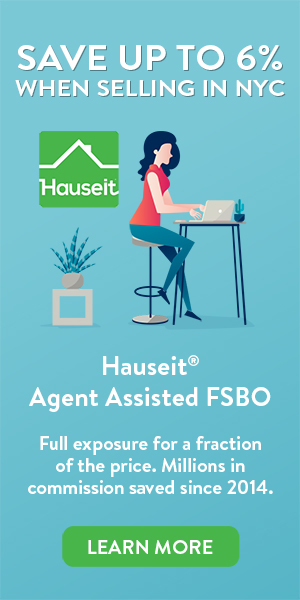 You may not want to be so brutal, but here’s an example of just how much flexibility you can have in firing your real estate buyer’s agent. Robert was a real estate agent who had already seen a few properties with Megan, whom he had met twice. Megan was friendly at the meeting but there was something about Robert that Megan just did not like. As a result, Megan stopped responding to the listing ideas that Robert continued to show her. Robert suggested a time that he knew Megan was available to see a new listing that fit Megan perfectly. Megan didn’t respond but Robert showed up anyway. What resulted was very awkward as Megan also showed up with 2 other people. One was a friend and the other was a new buyer’s agent. Megan told Robert curtly as he approached to give her a minute to finish her conversation. After she was done speaking with her entourage, Megan walked away without saying a word to Robert or even looking back at him. Robert sent Megan an email after this event saying that he would still love to be her agent but has not since heard back. This story is extremely brutal, and while we do not recommend being this harsh in firing your real estate agent, it illustrates that the power is in your hands in terms of determining who to work with. Even though the language for most Exclusive Right To Sell Listing Agreements in NYC are rather strict on the ability to terminate unilaterally, you can still effectively do so by asking to speak to the agent’s manager or refusing to allow access to your home. Even though most listing agreements will have a clause like “this agreement may not be changed, rescinded, or modified, except by written notice signed by both of us,” you can still effectively cancel your agreement by not allowing your listing agent to show your home. If you have a plausible reason for why the relationship is not working out, then often times the listing brokerage will simply release you from your contract. However, keep in mind that listing agreements will often have a marketing reimbursement clause for just this situation since brokerages do invest time and resources into your listing. As a result, you can expect to pay up to $1,000 for marketing expenses such as the cost of your professional photographs to be released from your listing agreement. Note: If there is a strong case for why you should be released from a relationship with a real estate agent and the agent is not cooperating, you should first ask to speak with the agent’s manager. If the manager does not resolve the issue and you have a legitimate reason for why you should be allowed to break your contract, please consult a real estate attorney. Furthermore, you can report instances of negligence or misconduct by real estate licensees directly to New York Department of State.